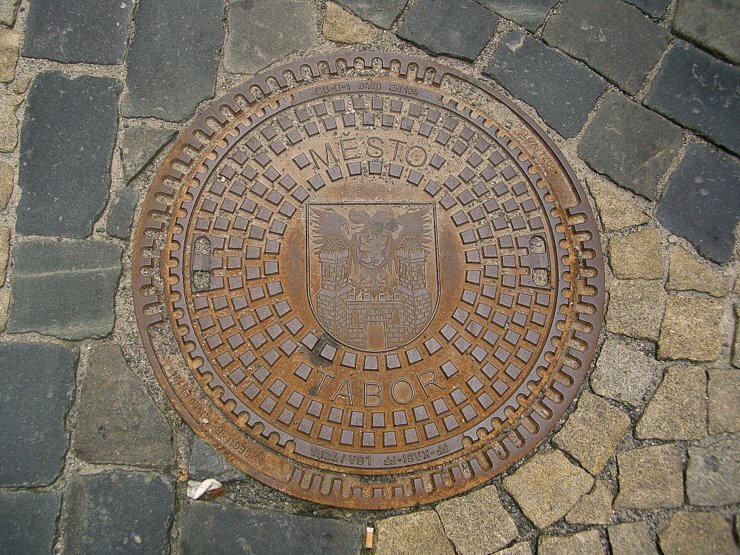 A manhole cover in Tabor, Czech Republic. It shows the coat of arms of the city. By the way an interesting sight of the city are the tunnels below the town. This entry was posted in Coat of arms, Manhole Covers and tagged Bohemia, Czechia, South Bohemia, Tabor by Travelwriticus. Bookmark the permalink.